Fall has well and truly arrived in the Front Range, which means we get to enjoy the crisp air, beautiful foliage, and the coziness of an overcast day. However, chances are good that, even if it’s overcast and damp, you still need your vehicle to get you places. Perhaps you turned on the heat for the first time since last winter. Did it work? Are you confident it will keep running until it’s time for air conditioning again? While summer throws a few curveballs like hail and the danger of hydroplaning, the snow, ice, and wind of the cold months can be harder on your vehicle. You need your vehicle to help you see clearly in inclement conditions, to shine brightly so other drivers can see you, and keep a grip on the asphalt. 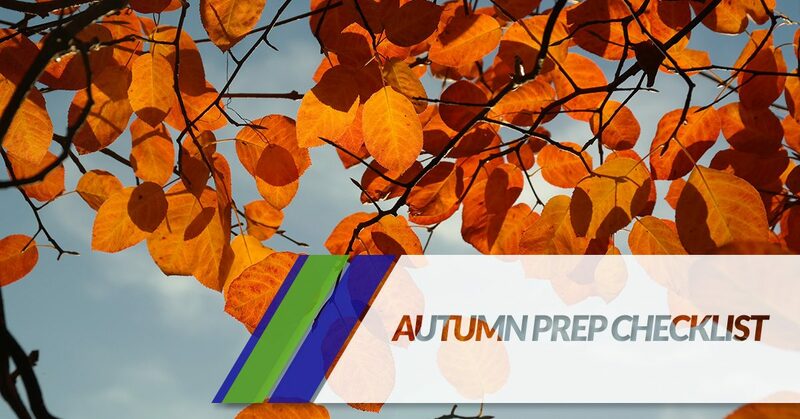 Fall may be gently sneaking in, but when the first snow flies, you’ll want to know that your car is ready. Metric Motors in Loveland is here to make this process as painless as possible. 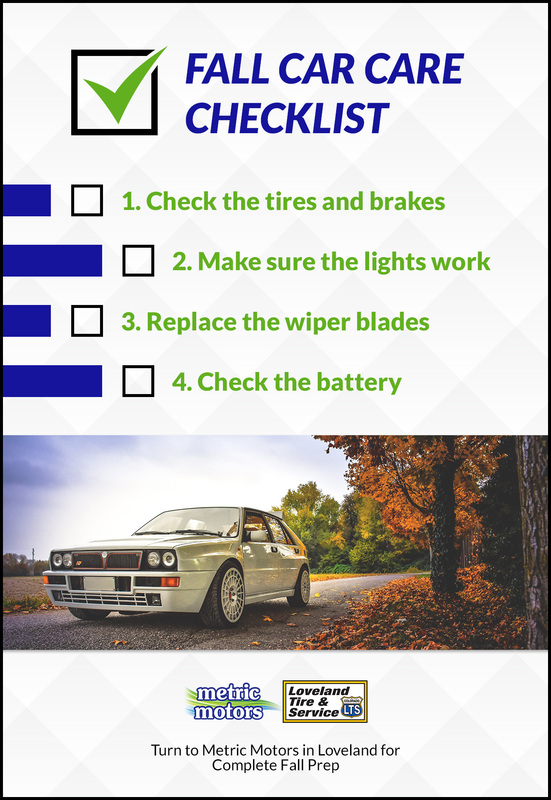 Here are a few of the things on our comprehensive fall car check-up list. Check the tires and brakes. It seems that every season calls for checking tires and breaks, but fall and winter are especially important times to make sure your car can grip the ground and stop when you need it to. Depending on how worn your tread is, your tires may need to be replaced. The same goes for your brakes. We will make sure to check the pressure in your tires to keep it at the manufacturer’s suggested levels. This way, your tires have the best chance of remaining stable for you. The days are getting shorter, which means you’ll likely be using your headlights before and after work. You also want all of your flashers to be fully functional in case you get into trouble and need to signal for help. We will double-check your lights to make sure they are ready to help you find your way home through a dark evening — and make sure others see you. Unless your wiper blades are almost new, it’s probably a good idea to replace them. They probably took a beating from hail at least once in the summer, and just sitting in the sun can weaken their effectiveness. The last thing you want is wipers that can’t clear sleet off your windshield when you’re trying to get home in a storm. We will make sure your wipers are ready to tackle whatever Colorado weather can throw at them. The last thing you want is to be sitting in a dark, cold parking lot after work and be unable to start your car. If your battery has worked hard this summer giving you movie sound at the drive-in or playing music for you while you vacuum your car, it’s probably a good idea to get it replaced. At the very least, a professional should check it out and confirm it’s ready to handle the oncoming season. The list above is only a fraction of the items that should be checked to make sure you’re ready for winter. Staying warm and safe in your vehicle is easier when you have professionals who can check its systems and make sure it can do its job. Contact our auto mechanic team in Loveland for your check up today.